After providing the initial value estimate, we reach out and initiate contact with the new lead via email, or text maybe if you were able to get their phone number. This step is critical because it lays the foundation for us to continue the conversation with them. 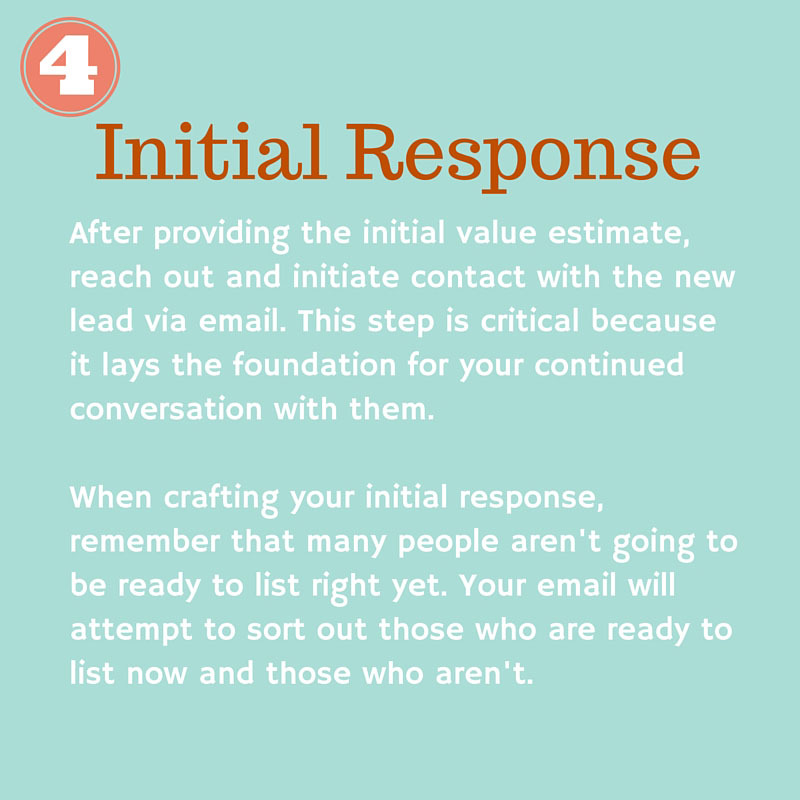 When crafting your initial response, remember that many people aren’t going to be ready to list right now. Your email should attempt to sort those who are ready to provide now from those who aren’t. First, check your tone. 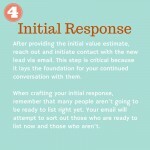 Your email should sound like it is coming from a genuine, interested person. Then offer your contact info in case they are ready now, but don’t be too pushy. Mention that if they want more resources on the home selling process, they can get access to it from you. 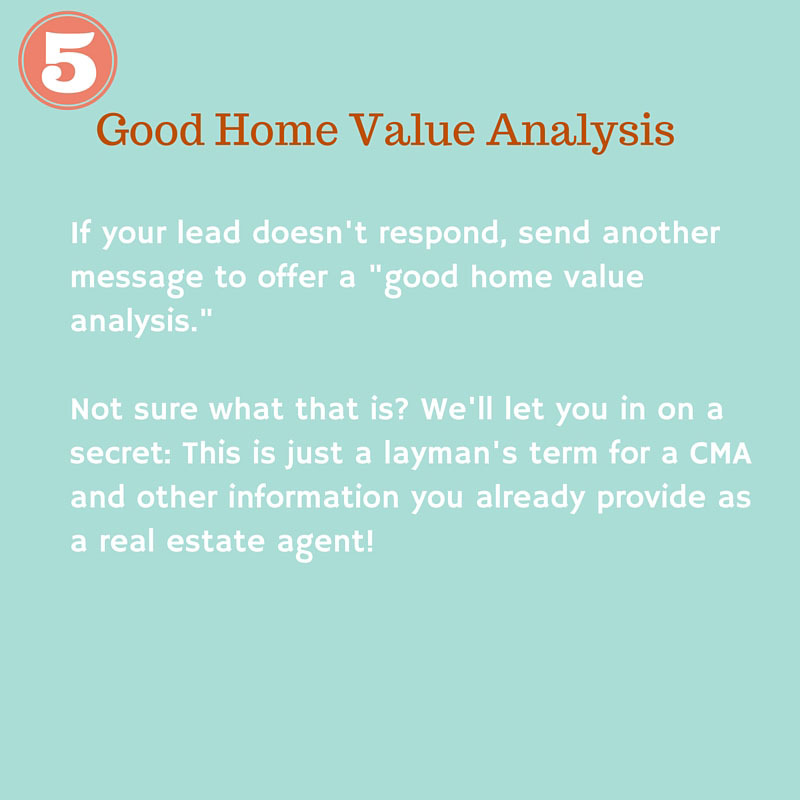 To prove your usefulness, include a link to another item of value, such as maybe a guide to home selling, and let them know you’ll continue to provide them with helpful information. In this email, reference the estimate they downloaded. 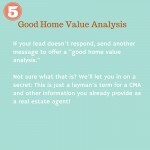 Let them know it’s a good place to start, but you can help them discover exactly how much their home is worth. Then list out your other services. For example, you offer a comprehensive pricing assessment, suggestions for how they can increase their home’s resale value, strategies to get them the best offer, and so on. Please continue to check back to find out what the last two Proven Processes are! And let me hear from you as to what you have learned from these Proven Processes for Turning your Online Seller leads into Commissions.